Legal Sea Foods is hosting a paired wine dinner at their Park Square Boston, MA location featuring wines from Ridge Vineyards. Ridge is one of those vineyards that never goes out of style. A great wine to choose at a business dinner when you want something everyone's sure to enjoy without breaking the bank. And a great wine to choose for your dinner table every night. Unless you pop a bottle of Monte Bello - you might want to have a special occasion to justify that one. 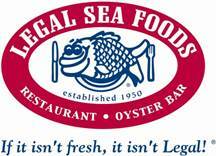 WHAT: On June 19th, Legal Sea Foods in Park Square will host a wine dinner with Ridge Vineyards. Ridge Vineyards respects the natural process that transforms fresh grapes into wine and the 19th century model of guiding that process with minimal intervention, producing high-quality grapes of distinct, individual character. Legal Sea Foods will team up with Ridge Vineyards’ winemaker, Eric Baugher, to host a four-plus-course dinner featuring signature cuisine paired with Baugher’s choices from their vine. MORE INFO: Reservation required by calling 617.530.9397 or visiting www.legalseafoods.com. Another dinner they've got coming up that caught my eye? Peter Michael on June 20th a Legal Harborside. A little pricier but wow - talk about an opportunity to taste some highly regarded wine. Both of these events sound fantastic.